We helped over 80,000+ students and holds 10,000+ lessons every month. IT회사에서 12년 근무 후 현재 3년째 타이베이에 있는 학원과 학교에서 한국어를 가르치고 있습니다. 학원에서 수업을 받을수 없는 학생들을 위해서 오전에는 Amazing Talker에서 온라인수업을 진행합니다. 온라인으로 원하는 시간에 좀 더 효율적인 1대1 개인강습을 받으세요. Find Your Perfect Korean Teacher in 3 Minutes. 중국어와 한국어를 능통한 한국인입니다. 다양한 콘텐츠를 가지고 한국어를 배우고 한국을 더 알아봅시다. 저는 중국어를 잘하는 한국 사람입니다. 제 수업은 무척 유쾌하고 즐겁습니다. 아직 한국어를 접해보지 못한 학생과 자모음은 이미 배웠지만 그 다음 진도가 없는 학생, 여러가지 문법을 배웠지만 구별이 잘 안 되고 사용할 줄 모르는 학생, 그리고 여러종류의 주제로 회화를 연습하고 싶은 학생들을 환영합니다. 大家好，我是江淑雲 現在在日本留學中 曾經在補習班打工以及日文、韓文的家教經驗 初めまして、りつと申します。 今、日本に留学中です。 中国語と韓国語が話せます。よろしくお願いします。 안녕하세요. 강숙운입니다. 대만 사람이에요. 중국어와 일본어를 할 수 있어요. 잘 부탁드립니다. We can enjoy learning Living Life Korean through various source of material such as Korean Drama or K-POP. Teacher Kim can help you to learn Korean easier and happier ! Come and Join with me. I have been teaching English for more than 7 years now. I’ve taught English to Koreans and Japanese students for ages. It gives me joy to see my students progress in speaking English fluently, so this makes me more passionate in teaching. I am a native Korean speaking teacher. You will be able to speak Korean like native Koreans. As you've obtained how to speak your mother language from your parents naturally that is how I teach Korean learners. I have been teaching online for a period of time now. I enjoy talking to people from different cultures (teaching them about my culture and they teach me about their cultures). i enjoy every lesson I have with my students, I hope they do too. Not satisfied with your lesson? We offer a FREE replacement with another tutor or AT credits refund. I appreciate to be teached by you . Our Korean for travel course is designed to teach you the key vocabulary related to traveling in Korean-speaking country. Once you’ve completed this course, you will have no problem to communicate with people with confidence during your travel! Our Korean course early teens is recommended to children under the age of 15, who want to learn Korean to fulfill their academic requirements at school and for exams. Our business Korean course will teach you how to use hundreds of common Korean words used in business settings. As well as how to speak Korean confidently during meetings, phone calls, presentations, and other situations at work. Q1. Why should I learn Korean on AmazingTalker? AmazingTalker’s one-on-one tutor is suitable for everyone that wants to learn Korean, regardless if you are a child, beginner, student, adult or professional. Our tutors can help you to learn in all aspects of the language - listening, writing, reading, speaking, pronunciation, grammar, vocabulary, or customized courses (e.g. business Korean programs). If you would like to significantly improve your conversation abilities in Korean, or if you’d like to stand out in your test or your work, then AmazingTalker’s Korean tutor can definitely help you! Q2. Who are our Korean tutors? AmazingTalker handpick only the best local and international Korean tutors. Each of our tutors have to go through a rigorous selection process before becoming an AT Korean tutor, and their performance will also be constantly monitored by us. You will get the best learning experience from the tutor we have recommended for you! Q3. How do I choose my Korean tutor? If you have a clear idea of your criteria for choosing a tutor - such as cost of lessons, nationality of the tutor, learning objectives, etc. - you can use the search function to quickly find a tutor to suit your needs, and select “trial lesson” for your first Korean online lesson. Q4. Should I choose a Korean tutor that is a native speaker? One of the best way to learn Korean is to immerse yourself in an environment where you can only use Korean. 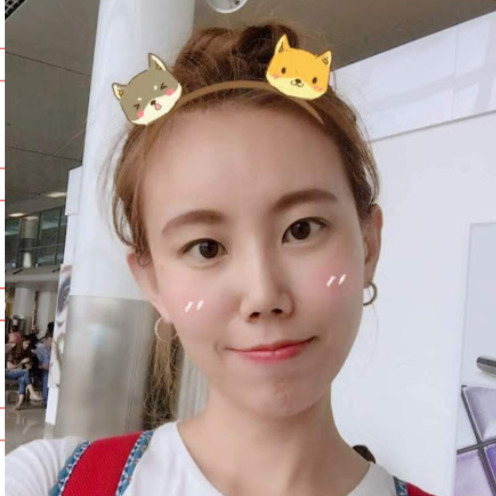 If you have a good range of vocabulary but lack the opportunity to practice, then we would definitely recommend you to choose a native Korean tutor. Q5. Learn Korean in the US - how to find a tutor near me? We have local Korean tutors from New York, Los Angeles, Chicago, Houston, San Francisco, San Jose, Philadelphia as well as international tutors based in . Q6. How much will my online Korean class cost? All tutoring fees are set by the Korean tutors themselves, and not by AT. Most of our Korean tutors charge USD$10-30 per hour. We will match suitable Korean tutors to the student’s cost needs. If the tutor’s fees are acceptable to you, we recommend that you can start with a “trial lesson”. Q7. How do I pay for the my Korean lessons? Q8. How many Korean lessons should I purchase? Don’t know how to choose tutor? Leave your requirements and let our AI to recommend tutors to you.